Leland, Mississippi (15 January 2019): Bicom Systems is delighted to announce their new partnership with TecInfo Communications, a voice, data and internet provider that serves 14 states in the USA. With over 20 years of experience in the industry, TecInfo describes themselves as “problem solvers who support what we sell”. TecInfo’s main problems that drove them to seek other options were the lack of support, countless technical difficulties, and ultimately the cost. They wanted to continue offering the latest trend in the industry, voice, but knew they had to seek other options for vendors. TecInfo met Bicom Systems at the 2017 WISPAPALOOZA trade show and had the chance to talk to account manager Kevin Langford. 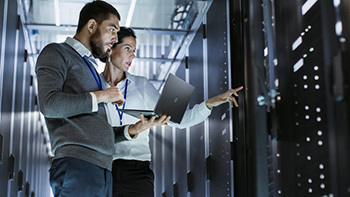 Partnering with Bicom Systems enabled TecInfo to save money, expand their product portfolio and has eliminated previous issues they had with their former vendor. “It works exactly as expected and we are selling a LOT of it,” says Ben Mize, Director of Operations at TecInfo Communications when talking about Bicom Systems PBXware. The company used to focus on selling other products, but since their partnership with Bicom Systems, TecInfo has been selling more phones than ever before. 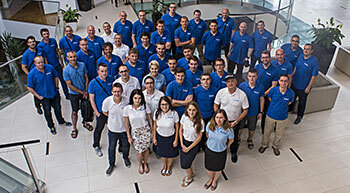 In conclusion, the decision to seek other alternatives turned out to be the best decision TecInfo made. If you are curious to hear how the partnership with Bicom Systems helped solve TecInfos problems, read their case study. 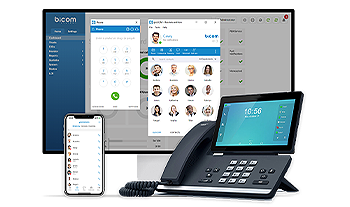 About Bicom Systems: Bicom Systems is the only unified communications provider with all of the pieces to start and grow a telephony company. Since 2003, Bicom Systems has deployed flexible, reliable, and scalable New Generation Communication Systems to SMBs, enterprises, and governments worldwide by unifying the most advanced of latest technologies. They offer seven highly-featured products integrated seamlessly to boost sales, growth, and profit. For more information, please visit our website or contact us at sales@bicomsystems.com today. About TecInfo Communications: TecInfo Communications launched their company in 1995 as a dial-up internet provider. Over the years as technology has changed, so has TecInfo Communications. They have been embracing tech trends and new technology, adding voice, data, and PBX to their offering. TecInfo has two locations in Mississippi and currently serve 14 states in the USA. To learn more about TecInfo Communications, visit their website.